BC West Thames 3rds/4ths was my first crit for nearly ten years so I came into it not really knowing how people were going to ride. Thankfully the early moisture had departed by the afternoon start and made the tight corners at Hillingdon a lot of fun rather than a slide fest. 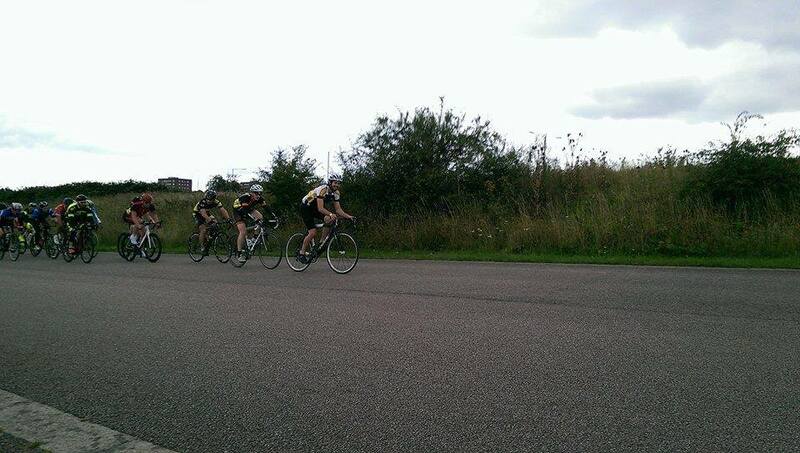 The race started fairly easily and for the first 40 minutes or so I hovered around the front 5-10 riders in the bunch, occasionally doing turns on the front and hauling in riders when people had a look at breaking off from the group of I think about 30 riders. 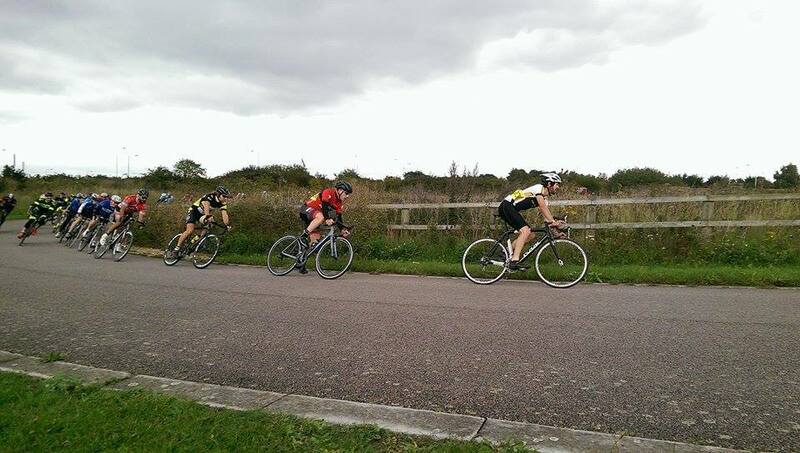 With a couple of laps to go I was feeling good but found myself getting boxed in quite considerably as the bunch tightened up and slowed, so going into the final 0.94 mile lap I cut outside and got clear, but then found myself on the front with a whole lap to go. Trying to decide whether to go early and try and build a gap or wait for the sprint proper meant I ended up not really doing either, going slightly too early and being caught on the last straight. 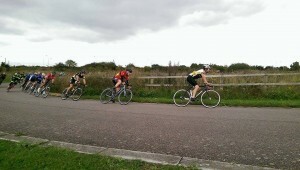 I came 4th by a wheel, a couple of bike lengths behind the winner who did me in the last 100m. While disappointed to lose out, I was still pretty happy with my result because I was beaten on experience and have an idea of when to go next time! 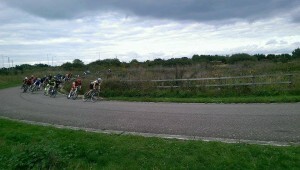 Good effort and we expect more to come! Pictures of Isaac on the front of the bunch.